Ernest L. Chism is hired to replace Commodore Ferguson at the newly renamed Germantown High School. Germantown High School's Thespian chapter is created by Alice Clough. Frank Bluestein is hired by Ernest Chism to direct the school's drama program. Arsenic and Old Lace is the first full-length public production on the GHS stage. Jim Terry, Almeda Zent and Frank Bluestein form the Germantown High School Fine Arts Department. This is the first fine arts department created in any Memphis or Shelby County school. Oklahoma! is the first musical presented on the GHS stage. Jim Terry is the musical conductor, Almeda Zent is the scenic designer and Frank Bluestein is the director. Late one night at the old Toddle House (a.k.a. Steak and Egg Kitchen, C.K. 's, and Greasy Spoon) Stacy Hall, Rich Booth and Frank Bluestein create the name Poplar Pike Playhouse. The PPP logo is designed by Scott Blake. PPP also is said to stand for Pride, Passion and Performance. Sara Savell is hired by Ernest Chism to re-invigorate the choral music program at GHS. Cast of Music!, Broadway!, America! The first Alumni Banquet is held at Cafe St. Clair. Bill Watkins (Class of 1978) is the guest speaker. Music!, Broadway!, America! is performed at the Germantown Festival. The show breaks all attendance records for any PPP production. All eight performances are sell-outs. In March, the PPP, along with the Germantown High School Band, performs Music! Broadway! America! on a goodwill tour throughout Spain. The Poplar Pike Arts Guild holds its first meeting on September 20. The Arts Guild, formed by Carol Florow, serves as a support group for the Poplar Pike Playhouse and the Fine Arts Department. Mrs. Florow and her husband Jim are the first co-presidents of the group. Germantown High School is one of only six schools in the nation to be visited by the People's Republic of China. Karen Dean joins the theatre arts faculty; Lanny Byrd is hired as Director of Instrumental Music. The PPP celebrates 10 years of excellence with an original production, Celebration '86. The show features over 20 alumni from past productions. The Poplar Pike Playhouse is the first non-professional theatre in America to present The Mystery of Edwin Drood. In December, the Playhouse hosts Salute to Sara. This special alumni banquet honors Sara Savell for her 30 years in education. The PPP is the first non-professional theatre in America to produce Into the Woods. Ginger Hilbun transfers from the GHS Special Education Department to the theatre arts faculty. Jerome Lawrence, the acclaimed playwright and author of Inherit the Wind, conducts workshops for GHS-TV students. GHS-TV produces a three part training video, Combat Masters International, for Certified Fight Master David Leong. 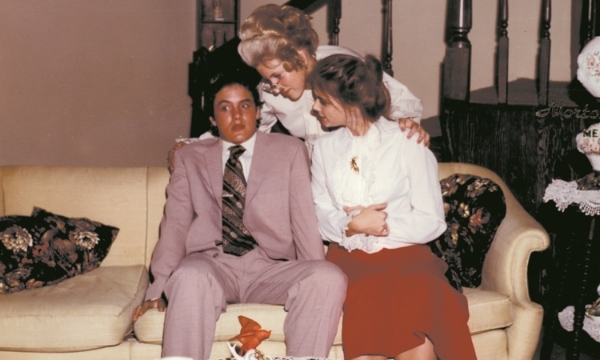 Kathy Bates appears on the Poplar Pike Playhouse stage in a performance of Love Letters. Charles Strouse premieres his newest musical Can't Stop Dancin' on the Germantown High School stage. Charles and his wife Barbara co-direct and choreograph the production. Seth Rowan, a tenth grader at Germantown High School, is tragically killed in an automobile accident. A Sophomore Achievement Award and a permanent endowment fund are established in his memory. Leonid Mazor joins the GHS staff as the GHS-TV Studio Coordinator. GHS-TV participates in a collaborative venture with the Moscow International Film School. 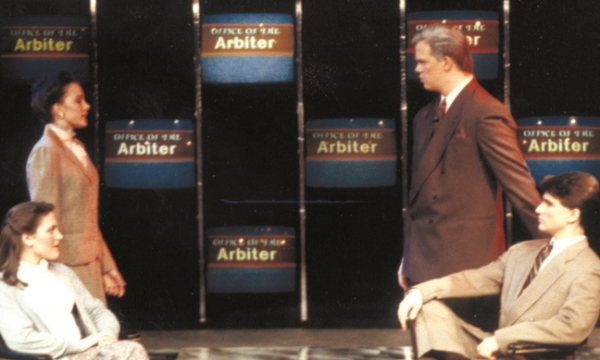 The PPP takes its production of The Fantasticks to Russia and tours in three cities. 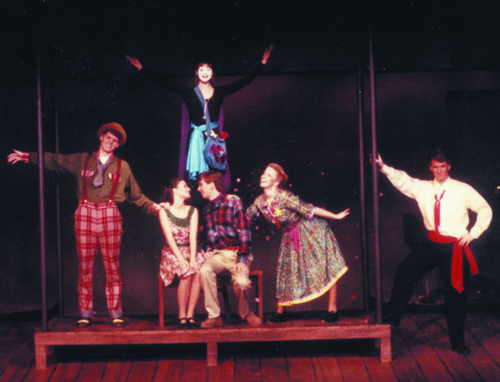 The PPP's production of The Fantasticks is the first time this show has ever been produced in the former Soviet Union. The PPP presents the first American production of the Russian classic Twelve Months, directed by Leonid Mazor. Charles Haraway is hired as the new GHS choral director. Jeff Capps joins the GHS faculty as the newest member of the theatre arts staff. Seventeen students return to the Moscow International Film School for another cultural exchange. Fifteen students and teachers travel to Austria for the first Igor Niels Kreinig International Arts Academy. Founder Ulrike Kreinig visits Germantown on several occasions to promote the camp and to spread the message of the camp: tolerance, friendship, and understanding. Students from Germantown's sister-city Koenigs Wusterhausen visit GHS and perform their production of The Importance of Being Earnest. PPP students travel to Berlin, Germany to visit their two sister-city schools in Koenigs Wusterhausen. Ted Horrell joins the theatre arts staff. The Germantown Fine Arts Foundation is established to offer financial support to the GHS fine arts program. Jim Siegfried is named as the first president. 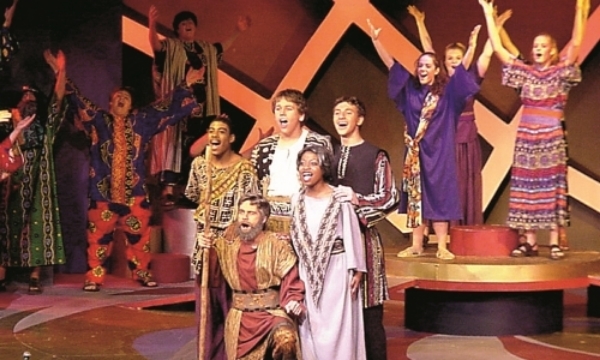 Children of Eden breaks all box office records as the highest grossing musical ever presented at the PPP. In December, the PPP celebrates its 25th anniversary with a gala weekend, highlighted with a banquet at the Peabody Hotel attended by over 400 people. David Hershey creates a documentary that chronicles the 25 year history of the Playhouse. Thirteen students and teachers travel to Berlin, Germany to once again conduct an exchange with their partner schools in Koenigs-Wusterhausen. The English Lovers Improvisational Comedy Troupe from Vienna, Austria comes to Germantown for a week of workshops and performance. The troupe, led by Kathy Tanner, finds the experience so rewarding that they decide to make the workshops a yearly experience. PPP Alumna and eventual department chair Allison Rogers joins the GHS theater faculty. Alumna Susan Marshall returns to the Playhouse stage to present the first of what will become yearly benefit concerts with all proceeds going to the GHS Fine Arts Department. Alumnus Jeff White returns to the PPP to establish a writing project with GHS students that results in the publication and performance of an original children’s play based on Jack and the Beanstalk. Jeff will return over the next two years to oversee the development of two additional children’s plays that are performed throughout local area schools. Former GHS student John Koski is elected the new president of the Germantown Fine Arts Foundation. Internationally acclaimed filmmaker Hubert Sauper comes to Germantown to offer Master classes to students and to present to the community his latest film, Darwin’s Nightmare. Sam Massey is elected the new president of the Germantown Fine Arts Foundation. PPP alumnus Dr. Ted Horrell is named principal of Germantown High School. Dr. Horrell remains at GHS until 2014 when he is named superintendent of the newly formed Lakeland School System. Playhouse founder and department chair Frank Bluestein announces his retirement at the end of the 2012-2013 school year. Bluestein, was also founder and executive producer of GHS-TV, joined GHS in 1976. Allison Rogers Long is named chair of the Fine Arts Department and executive producer of GHS-TV. A GHS alum, she returned to GHS as a fine arts teacher in 2003. Beginning with the 2014-2015 school year, Germantown High School becomes the newest member of Shelby County Schools' Optional Program. The GHS Fine Arts Department develops an arts program that will open its award-winning programs up to top performing students from anywhere in the school system. PPP alumnus Catie Broadwater Ward joins the GHS Fine Arts Department. 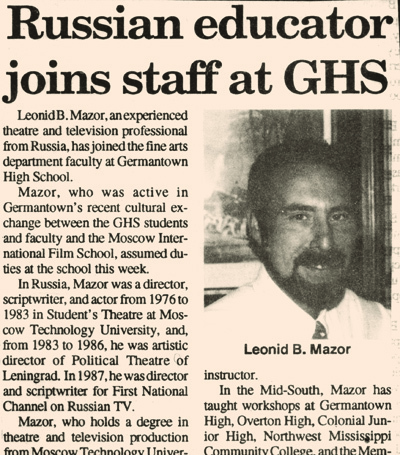 Former GHS Fine Arts teacher Leonid Mazor returns to Germantown High School as GHS-TV's Studio Coordinator. GHS alum Mallory Kenney joins the Fine Arts Department as Senior Content Producer of GHS-TV.